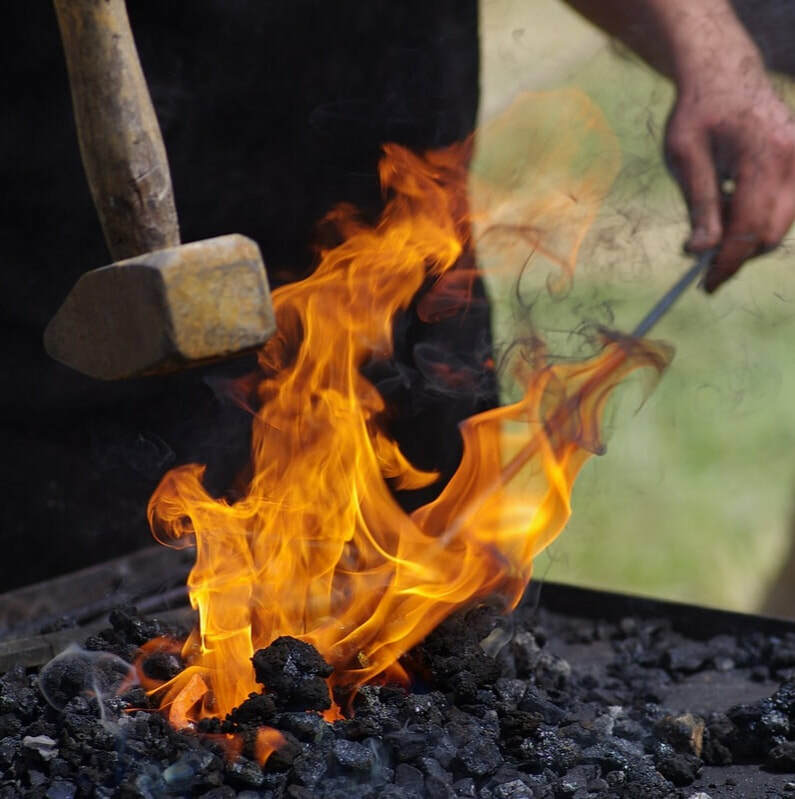 An ancient craft that is experiencing a modern artistic revival, blacksmithing is a fun and productive hobby that can allow you to create many tools and products for use around the home. In this introductory workshop, students will learn the basic tolls of the smith, how to set up a portable forge using coal or charcoal, and then practice basic blacksmithing skills including drawing and bending metal. Each student will make his or her own classic blacksmith product: a forged s-hook. This is the perfect class for the beginning blacksmith. For students who have completed an Introduction to Blacksmithing course or have approval from the Blacksmith Instructor, we offer access to our Blacksmith shop beyond our classes. This 3-hour session is offered Sunday mornings and afternoons. Blacksmithing: Open Studio is an affordable way to have access to tools and equipment as well as the supervision of an experienced studio manager. It's a great way to finish what you worked on in class, or start a brand new project. This class requires prior experience working with steel and judging appropriate temperatures for forging – students who want to make tools from scratch should feel comfortable with basic forging skills before enrolling. With the opening of our new campus in Ann Arbor, we will soon be offering many opportunities each month for people to hone their smith skills. In this class, we will explore tools, particularly chisels and punches for use with wood or metal. In order to create tools that will take and hold and edge, students will experiment with forging tool-steel, and will gain experience hardening and tempering in a forge. Students are encouraged to bring dull or chipped tools to repair, sharpen, harden, and temper. With the opening of our new campus in Ann Arbor, we will soon be offering many different blacksmithing courses for beginner sand intermediates. From crafting kitchen items to bladesmithing to hand-made hinges, each month will bring a host of new learning opportunities.